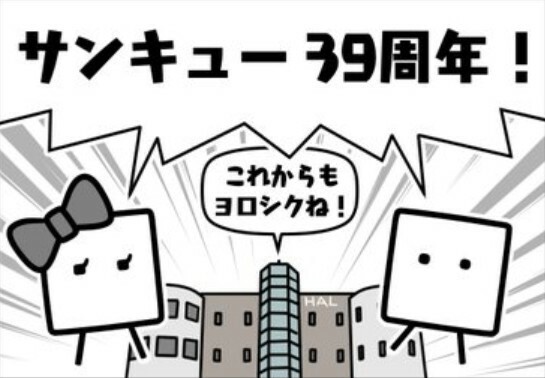 HAL Laboratory, a second party Nintendo developer, celebrates their 39th anniversary in Japan today. The company was founded in 1980 in Tokyo. Many prominent game developers, from late Nintendo President Satoru Iwata and Smash Bros. creator Masahiro Sakurai, all came from HAL Laboratory. HAL Laboratory was the studio that brought us the Kirby series and BOXBOY series. Title: 39th anniversary this year! Qbby: Hey! Today’s BoxBoy’s 39th Anniversary! Qudy: That’s wrong! HAL Laboratory has turned 39 today! Qbby and Qudy: Thank you 39th Anniversary! HAL: Please treat us well from here on! What do you think? Let us know in the comments! !